“… Israelites who appear before gentile judges desecrate the name of God and cause idols to be honored and praised” (Tanĥuma Mishpatim 3). According to this passage, it would seem that the primary prohibition is to appear before gentile judges who are likely to dedicate their legal decision to a specific idol or god. From this perspective, one might legitimately conclude that Israeli secular courts – where the judges are all Jewish – would not be prohibited. Moreover, secular courts in America – where there is a clear separation between religion and state in the judiciary – may very well likewise be permitted. However, the great legalist and philosopher Maimonides would seem to support another opinion. He begins his ruling, “Anyone who brings a judgment before gentile judges and their judicial systems…is a wicked individual.” He then concludes, “…and it is as though he cursed and blasphemed [God], and lifted his hand against the laws of Moses (Laws of the Sanhedrin 26:7). Apparently, Maimonides takes umbrage at a Jew going outside the system of Torah law, thereby disparaging the the just and righteous laws of God. 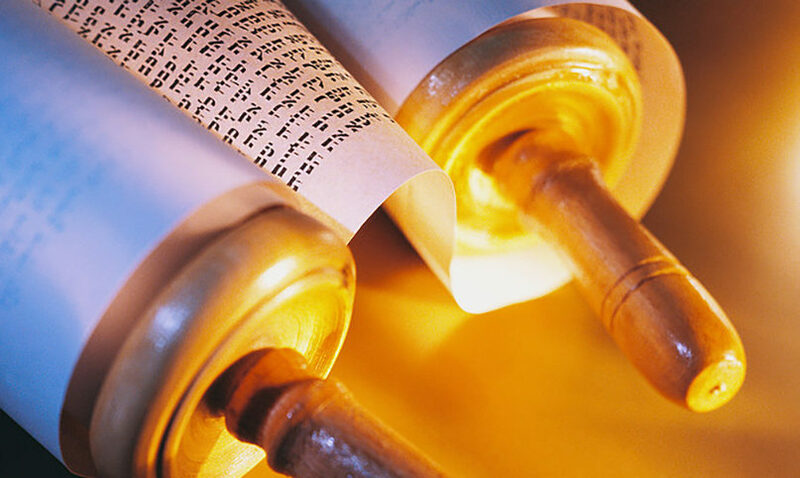 To understand what is unique about the Jewish legal system, consider another passage in this Torah portion, the prohibition against charging or accepting interest on a loan. If you will lend money to my nation, to the poor person with you, you may not be to him as a creditor, you may not place upon him an interest rate [neshekh]; and if you accept from him your friend’s cloak as security for the loan you must return the cloak to him before sunset. Because, after all, it may be his only cloak and [without it], with what [cover] will he lie down? And if he cries out to Me, I shall hear because I am gracious” (Exodus 22:24–26). The prohibition against interest begins, “If you will lend money to my nation.” Rashi cites the teaching of Rabbi Yishmael that this is one of the three biblical instances where the usage of the Hebrew im – “if” – is to be taken as an imperative – “When you lend money to my nation.” The act of lending, when it is clearly God’s desire that we perform this act! The Torah further states, “You may not be to him as a creditor.” This is interpreted by our sages to mean that not only is it forbidden for the creditor to remind the debtor of the loan, but the creditor must go out of his way not to cause the debtor embarrassment; if the creditor sees the debtor walking towards him it is incumbent upon the creditor to change direction. The specific prohibition against interest seems problematic. The Hebrew word used in the Bible for interest – “neshekh” – also means the bite of a snake, which our sages compare to interest since the serpent initially injects his venom painlessly but it ultimately consumes the entire individual and takes his very life. Maimonides goes so far as to codify: “Anyone who writes a contract with an interest charge is writing and causing witnesses to testify that he denies the Lord God of Israel…and is denying the exodus from Egypt” (Laws of Lenders and Borrowers, 4:7). What is the logical reason for the prohibition against interest? After all, there is no prohibition against charging rent for the use of my house. Why should there be a prohibition against charging rent for the use of my excess funds? Rabbi Haim ibn Attar explains this passage in his commentary Ohr Haĥayim. In an ideal world, he maintains, there ought to be no rich and no poor, no lenders and no borrowers. But this is not the manner in which the Lord created the world. He provides certain individuals with excess funds, expecting them to help those with insufficient funds. Hence you must read the verse as “If you have money to lend to my nation, [understand] that what ought have gone to the poor individual is with you.” You were merely given the poor person’s money in trust. Your extra funds actually belong to him. If you understand this fundamental axiom then everything becomes clear. Of course, the lender may not act as a creditor and therefore may not charge interest, because she is only giving the poor man what is actuality his. This is the message of the exodus from Egypt, the seminal historic event which formed and still informs us as a nation: no individual ought ever be owned by or even indebted to another individual. We are all owned by and must be indebted only to God. This fundamental truth is the foundation of our traditional legal system which is uniquely just and equitable: it is especially considerate of the needs of the downtrodden and enslaved, the poor and the infirm, the orphan and the widow, the stranger and the convert, the “chained wife” and the indigent forced to sell their land. From this perspective, not only must we submit to Jewish law, but it is crucial that our judges be certain that Jewish law remains true to its ethical foundations.